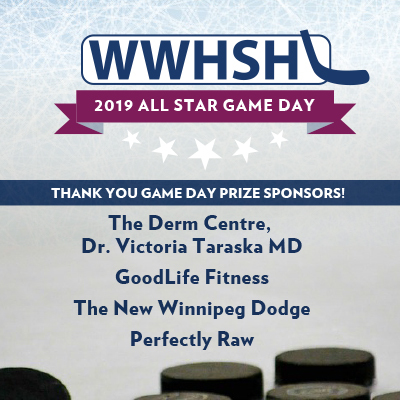 Living up to its reputation, WWHSHL All Star Day was tons of fun and a great success. The Bell MTS Iceplex was packed when the puck dropped for the Vets game, and new waves of family and friends joined in throughout the day to taken in the Skills Competition and Jets game. Jason Halstead, Photographer, was able to capture some incredible moments - view Photo Albums. 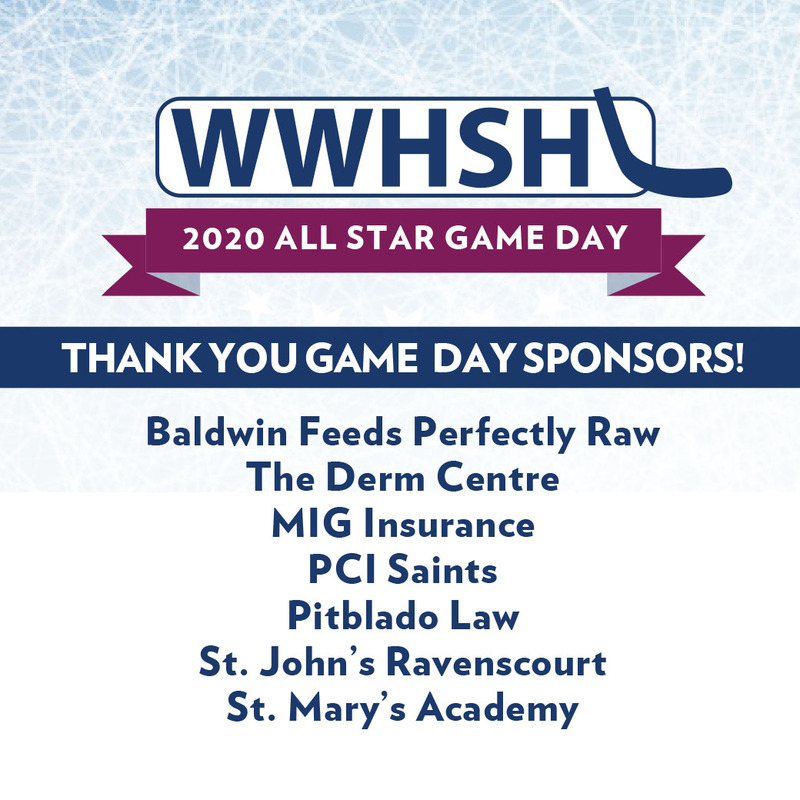 Thank you to the volunteers and game officials, to Dallas Henson, our O'Canada singer from Vincent Massey, and to Dan Simcoe and the Sanford Sabres for announcing and time keeping all events. 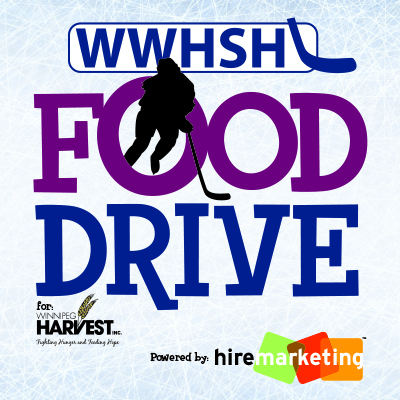 Thank you also to the generosity of sponsors and fans, we were able to raise $1921 on game day for female hockey development programs like our specialized goaltender clinics and collect an overflowing basket of tins for Winnipeg Harvest. All sponsors are listed below. When possible, please shop local and support those who support us!